Not sleeping well? Wake up feeling tired? It could be your mattress. 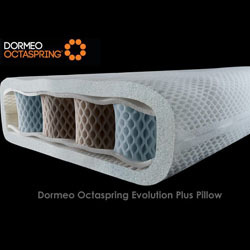 Dormeo Octaspring is brand new innovation into mattress design. Octaspring combines the support of springs and the comfort of memory foam to create the ultimate sleeping surface. It claims it is free of pressure points, hot spots and heat build up. The mattress is designed to evenly distribute the your body weights to give you superior support and remove pressure points. It has superior ventilations which keeps the mattress cool. With your help we can reach more people and let them know about Doremo Octaspring whether this product works or not.